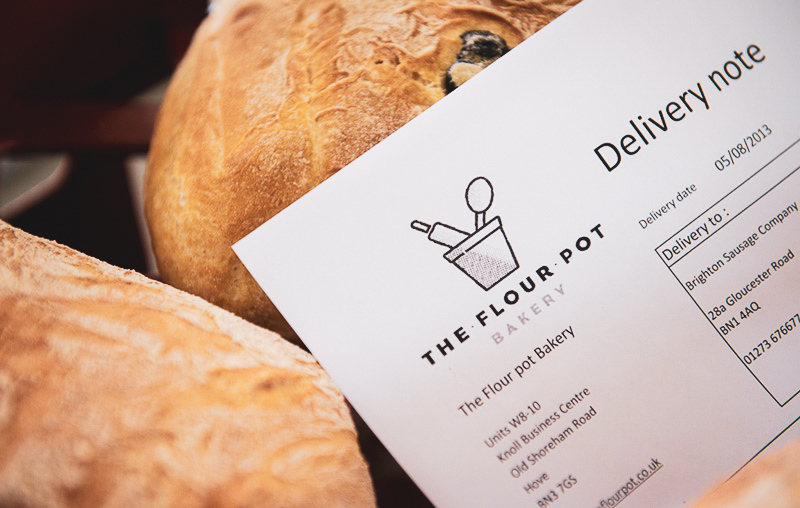 The Flour Pot is the exciting Brighton & Hove based Wholesale & Retail Bakery with five city locations and a brand new licensed restaurant in the iconic King’s Road Arches on Brighton Beach right next to the i360. It is the destination of choice for people of all ages seeking real bread, delicious baked goods, great coffee and excellent service. 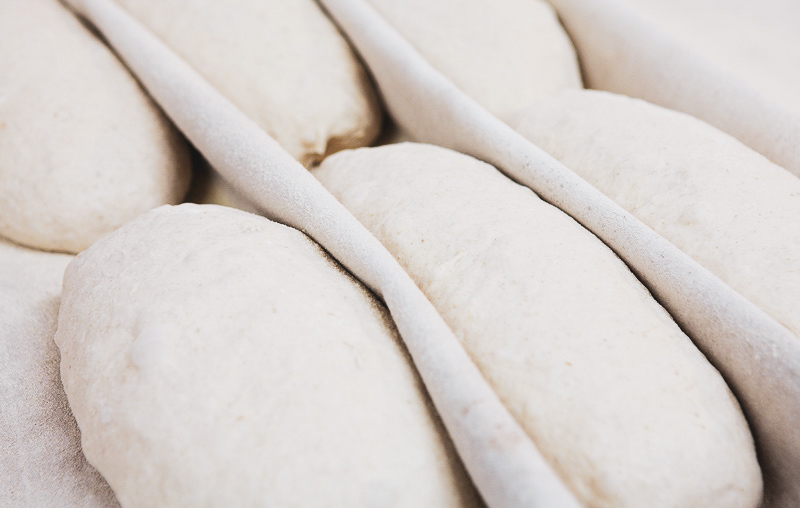 Our artisanal bakers and talented chefs are based in the Fishergate part of the city in The Flour Pot’s contemporary Bakery & Production Kitchen. There they develop and produce the highest quality loaves, viennoiserie, pastries and cakes along with an exquisite selection of innovative fresh food products and dishes for retail and wholesale customers alike seven days a weeks all year round. In our eponymous shops and restaurant, Flour Pot’s helpful and friendly staff are ready to make sure you enjoy your visit with us every time. Highly trained Barista’s create fabulous coffee with our very own Signature Blend and are always ready to talk you though all our products and ingredients if you suddenly find yourself caught between a Strawberry Doughnut and the ultimate piece of Chocolate Cake! 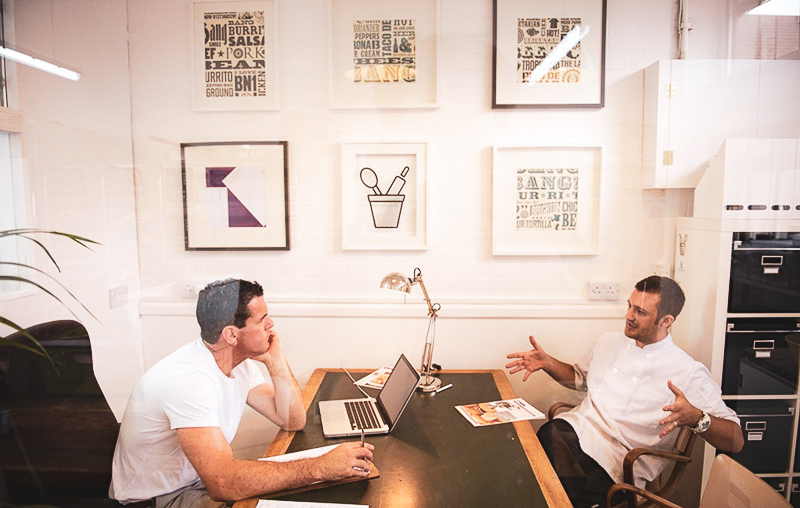 Over the next few years we will take The Flour Pot to new places, but with it will come the best ingredients, products, service and experience for all our customers all the time. Mixing starts for today’s production except for the sourdoughs and baguettes as they are a day ahead. The baguettes are ready for baking after being slowly fermented overnight. Sourdough loaves were also shaped the day before and are now ready to bake. The rustics and ciabatta are baked after proving for 3-4 hours. 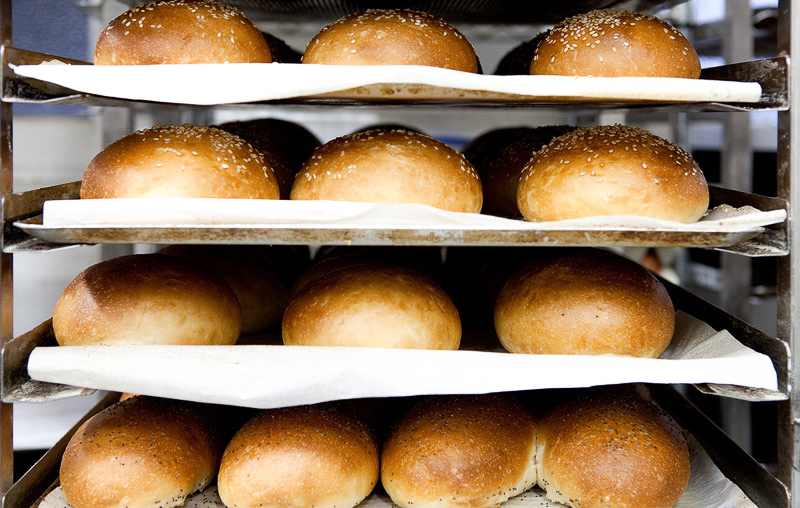 The baguettes, burger buns and croissants are baked and sent out on the first delivery still warm from the oven. Once the final loaves come out of the oven we start to clean down and make sure we have all the slow fermentation breads in our dedicated cold room ready for tomorrow’s production. First thing, warm up the ovens, prove the croissants and begin baking morning patisserie. Getting the numbers right is critical, checking off all the delivery notes ready for the day before we load the vans. Getting our goods to our customers safely and in pristine condition is important, so we created bespoke storage in our Flour Pot vans. Once everything has been checked and loaded, we set off to deliver to customers across the South East. 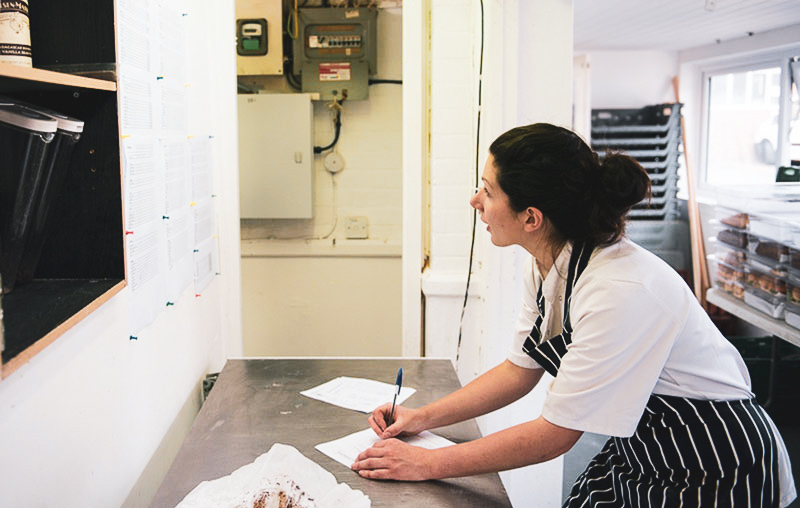 Making two deliveries a day seven days a week mean our customers only ever get the freshest products straight from our Bakery & Production Kitchen. It doesn’t stop there… it’s now time for cake and next-day preparation, mixing and baking. Time for a team regroup so we can do it all over again tomorrow.